I wonder if any on here use the product called Sea foam. I have used it in my generator to help clean out the carb. & I think it did help. Also put some in my old jeep & motorcycle-----Did it help---well I'm not 100% sure---I say 'I Think' cause these motors rarely get used. Any way---just wondered what others thought bout it. We use quite a bit of the stuff, especially either small motors that never work hard (pumps, gensets, etc.) or vehicles that do mostly stop & go driving or short trips. It's sure cleans the junk out of a motor. I used it on the V8 SUV that my 'other half' drives, it created such a cloud of smoke from burning all the crap out of the engine it completely obscured the vision on the road in front the house, that road is some 300+ feet away. Did you put it through the gas tank, or straight in Skip? I don't see much difference when it's used in the fuel tank myself. Well Murf I put it in throuh the fuel tank---hummm---maybee I shoud add it a diff. way. I have used in fuel tank and got results but the ratio there has to be HIGH. Mostly used it on small engines such as mower. Skip, on a vehicle the simplest way to do it is to use a small funnel and pour it slowly down a vacuum hose going straight to the intake. The vacuum hose to the brake booster works well. 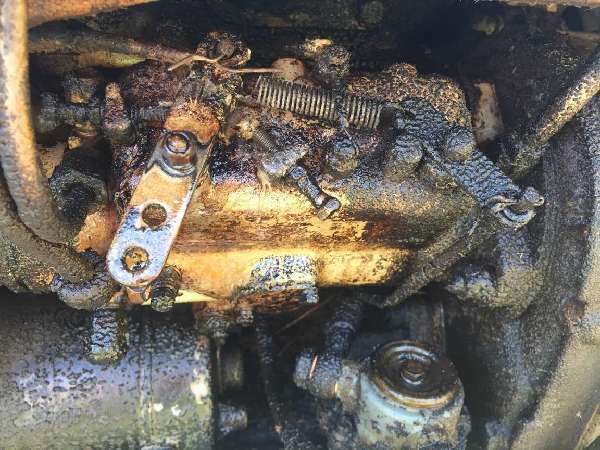 Take the hose off at the brake booster end, then with the engine warmed up, very slowly pour 1/3rd of the can into the engine and then immediately shut of the engine and leave it for 5 minutes. Then restart it, again add another 1/3rd and shut it off, wait 5 minutes and restart it. Restart it and add the last 1/3rd, then shut it off. After 5 minutes restart it and take it for a drive, preferably somewhere the smoke won't be an issue. Don't be alarmed that the vehicle will likely make more smoke than you thought possible. This is normal, it's the junk and deposits burning off that the Sea Foam released. I use it as a fuel stabilizer in seasonally used machines, (snowmobile, lawn mowers, weed wacker, etc.) with excellent results. Add some sea foam to tank, top of with gas, run till treated gas gets through carb, shut down for the off season. They always start right up when needed. But, I never buy gas with ethanol for my small engines.